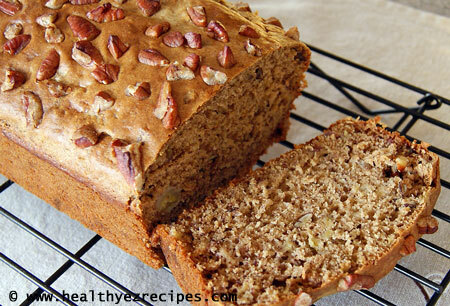 Having you been looking for a super healthy banana bread recipe? Well this buckwheat banana bread may be the answer. A really easy way to instantly make your baking healthier is to substitute some of the white flour for whole grain. Buckwheat flour is a great alternative. It is made by grinding down the kernels. Learn more about buckwheat flour. Buckwheat flour has a distinctive flavour which makes it particularly well suited to pancakes, muffins or quick breads. 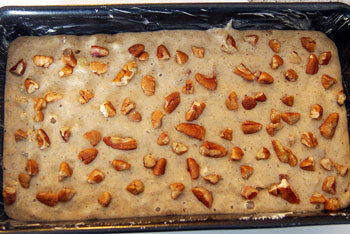 Its rich, nutty flavor will transform an ordinary recipe from the mundane to the interesting. Buckwheat flour complements many foods and so we decided to pair it with bananas and nuts. The results were absolutely delicious. But remember, this flour doesn’t rise the way ordinary flour does, so if you are substituting buckwheat flour for white in your recipes, no more than half should be buckwheat. This fact also makes it unsuitable for use in cakes. A wholegrain, it carries many health benefits. High in fiber, amino acids, protein, niacin and vitamin B, it helps reduce blood cholesterol levels, it is also high in fiber and protein. Grease a 900 g / 2 lb loaf tin and line the base with baking paper. Preheat the oven to 180°C / 350°F. Sift together the flours, baking soda, baking powder and cinnamon in a large bowl. Add the sugar and give the ingredients a quick whisk so they are thoroughly mixed. 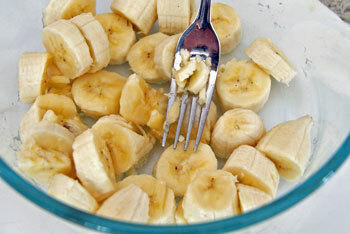 Mash the bananas together. I used three. Then add the milk. Lightly beat the eggs in a separate bowl and add the eggs to the milk mixture and stir until combined. 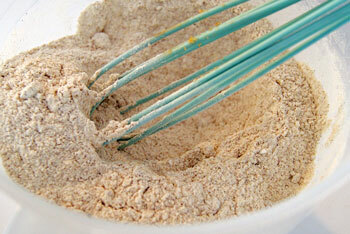 Make a well in the center of the flour mixture and add the milk mixture. 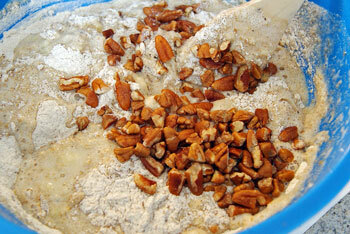 Add 2/3 cup of the chopped pecans. Stir gently until the mixture is just combined and there are no streaks of flour. Over-mixing will make your loaf tough. Pour the mixture into the loaf pan and level the top with the back of a spoon. Arrange the extra pecans over the top. Place in the center of the oven and cook for about 45 – 50 minutes or until a skewer inserted into the center comes out clean. Remove from the oven and leave to cool slightly in the tin. When it is cool enough to handle lift out and place onto a wire rack to cool completely. To serve your buckwheat banana bread cut into thick slices and spread with honey or add dollops of yogurt.